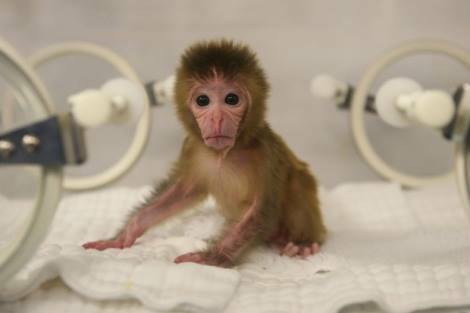 World Week for Animals in Laboratories is an annual, international event that runs from April 18 – 25th. 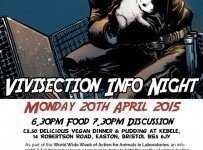 Activists all over the world will be protesting the use of animals in experimentation. Join ADL-SF as we demonstrate against Skanska USA. 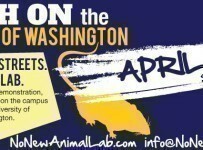 Skanska USA has contracted with the University of Washington (UW) to build a new animal testing facility – a facility that if built will allow a tremendous increase in the number of animals subject to the torture that happens on a daily basis at the UW. Skanska has started preparing the site where the new, underground animal testing facility is to be built . 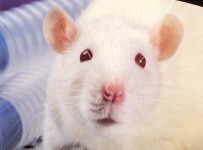 Let’s let Skanska know that their ties with animal testing have not gone unnoticed! Please make it a point to make it out to this demo!